Iran, Sept. 5, 2018 - According to reports from inside Iran, during the uprising in August, at least 1,000 young people and other protesters were arrested. According to the regime's interior minister, the uprising involved 27 cities and 13 provinces (IRNA news agency- August 21). In addition, many of those who were arrested during the January uprising and released on bail were again arrested and sentenced to long prison terms. In August, many young people, especially the PMOI supporters, were arrested in many other cities like Yazd, Behshahr, Birjand and Ganaveh. Most of the arrests are carried out by criminal plainclothes agents controlled by the Revolutionary Guards and Khamenei's office. They participate in the demonstrations, and arrest the demonstrators and activists by photographing and filming them, and detain them far from the demonstrations or by attacking their homes. In some cities, such as Karaj, plainclothes agents directed part of the population to the alleys and streets by chanting deviating slogans and detained them. In many cases, protesters have identified plainclothes agents among the demonstrators and taken their camera and punished them, and then posted the photographs of these mercenaries on social networks. Many of the detainees are transferred to secret safe houses, and are interrogated by the IRGC agents and severely harassed and then delivered to official prisons, such as Evin. In August, as the uprising escalated, regime officials started to express their anger and fear from the PMOI. "The United States, the Zionist regime and the Saudis, who support the PMOI, are under the illusion that the PMOI would bring a miracle for them," said Mohammad Kosari, the deputy commander of the IRGC’s Sarallah headquarters.  (Sepah News-August 4, 2018). The state-run Channel One television network said, "A study of the movements during recent months show that the PMOI's bankrupt elements are the infantry in this scenario" (state-run Channel One TV network -August 12, 2018). Mullah Ahmed Salek, a member of the Parliamentary Cultural Commission, said that the slogans that are being chanted are designed by the Monafeqin (PMOI) through alien media "(Tansim, the Quds Force news agency- August 2, 2018). The Iranian Resistance calls on all the people, especially the youth, to show solidarity with the arrested, and calls on the Security Council, the Human Rights Council and other relevant bodies of the United Nations to take immediate action to release all political prisoners, especially the detainees of the uprising, and to condemn the mullahs’ regime for the brutal suppression of the popular protests.